The kitchen, such a versatile room; cook, dine, relax, entertain, read, chat, it’s where it all happens. 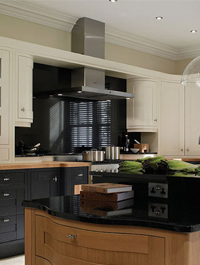 It’s the heart of the home so whether you are looking for a kitchen rich in urban chic or a true country classic we have designs to complement your lifestyle. Together we’ll create your perfect living space, a kitchen you’ll look forward to coming home to.